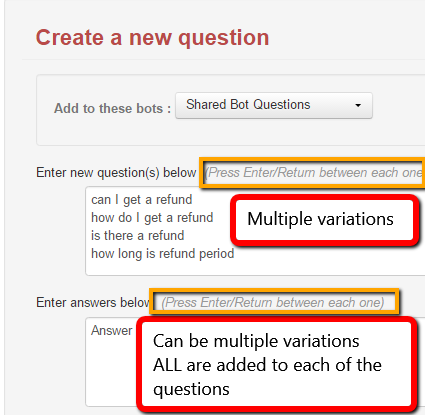 When adding a new question, be sure to enter ALL possible variations of the question that you can think of - and then ALL variations of the answer. This will hopefully "catch" most of the questions as your customers ask them and save you having to answer each variation individually from the Unanswered Questions list. Use your browser "search" facility to find a keyword. Work through the unanswered questions with this keyword - either pasting in the stock answer or giving a new answer as necessary. After saving, this question will have "disappeared" from the list so you can click "next" on the browser search to move on.